Bergies Custom Roast House is one of my few favorite places to hangout. The coffee is roasted almost daily, and the service they provide there has always been outstanding. 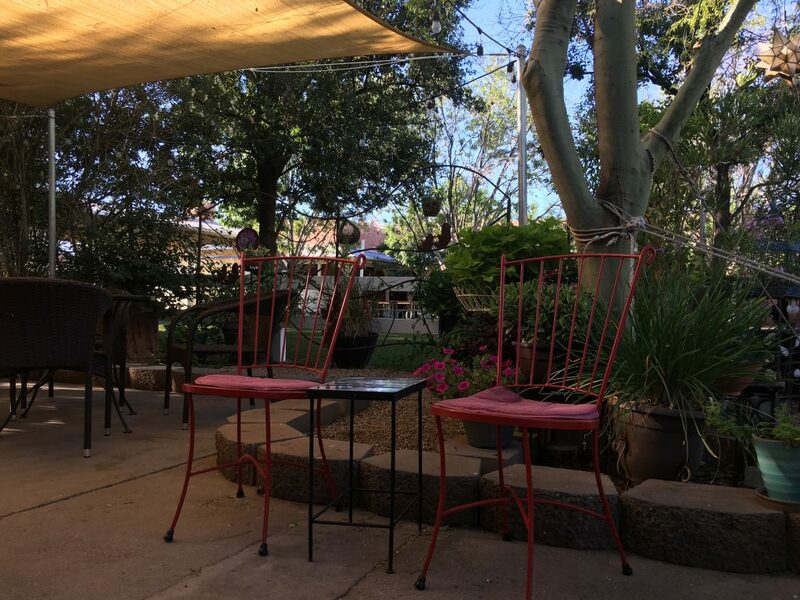 When I have, friends visiting Gilbert, or are close to it, Bergies is on my very short list of shops that I recommend. 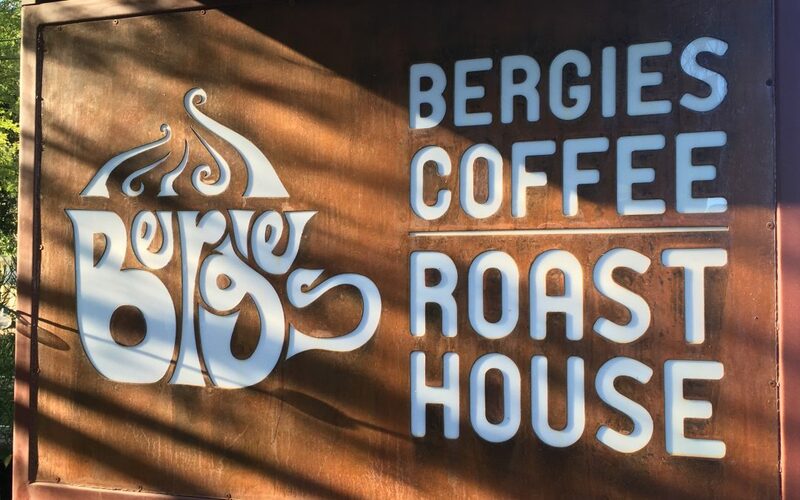 It is with great pleasure that the owners of Bergies; Brian, Linda, and Bruce, (all of whom I consider as friends), have agreed to sit down with me over a cup of coffee (of course) talked about their beginnings eight years ago, and what changes they have seen during their time building this wonderful shop. Bergies opened its doors back in 2008, when Brian was laid off from the airlines, and Bruce was facing a slowdown in the construction industry. They felt if they could start a coffee roasting business, along with a coffee shop during an economic down turn, and be successful, they could make it overall. When Bergies opened those doors in 2009, Joe’s Bar BQ was the only restaurant in the downtown area of Gilbert. Bruce and Brian took some barista training from a well know coffee chain for a few hours in preparation for running their own shop. A few days was spent spreading the word around town about the opening of Bergies. Brian, Linda and Bruce thought there would only be a few people there to have coffee, and espresso, but they were greatly surprised when the line went past the garden, and down the sidewalk to Joe’s, and Bergies has been popular ever since then. I asked Linda about the décor of Bergies, she smiled, and said that the building pretty much decided the décor. The house the coffee shop is in had several past lives, one being a fortune tellers place, and that inspired the eccentric grandparent collection of furniture and furnishings. The one big trademark of Bergies is their garden. It is the passion for Linda, and is uniquely Bergies. 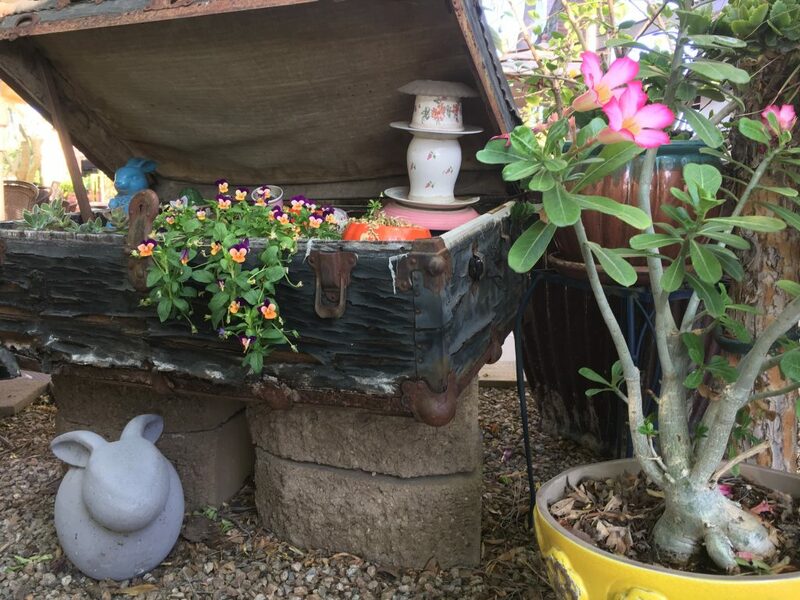 You will find container planters full of flowers, and herbs. Trees that are home to Love Birds, and song birds of Arizona. Mosaic art work on display through out the garden, with plenty of shaded seating that really encourages you to stay and rest a while. On Saturday nights, Bergies is home to local music, coordinated by Bruce, his passion outside of coffee. Guests are treated to a wide range of music performed by very talented musicians. Bergies did not start as a money-making business, there were several years of being the only employees. Their children have spent time working there, working alongside of their parents, and to this day, some still do. The big payoff for them is the community support that they have received, and the new friends that they have each made through Bergies Custom Roast House. After a few lean years, they have grown into a prolific coffee roaster, and a popular coffee shop that contributes to the local economy by providing jobs for people locally, not to mention how many places you will find their coffee being served. The secret of their success? When asked, they say that it is because that they paid everything as they went along, minimizing loans and payments. But if you ask the customers, you’ll find that the other secret to the success of Bergies is their customer service, and their unwavering commitment to the local community, which is why I always come back. Brian, Linda and Bruce have seen several fads, and changes in the coffee world come through their shop; bullet proof coffee being one of them, but cold brew coffee? They say is here to stay, and I must agree. The other trend they see now is that the public pallet is getting away from dark roast coffee to more medium roast, offering a wider range of flavors, making coffee drinking an adventure in a cup. The expansion of coffee tastes in the public is always good news to those of us who love coffee, and the difference providers can make in a neighborhood. You won’t find the “third wave” attitude at Bergies, but you will find an honest every person, blue collar coffee shop that makes you feel that you are home, or at grandma’s getting a great cup of coffee, having a chat with the locals, or having a quiet moment to yourself. 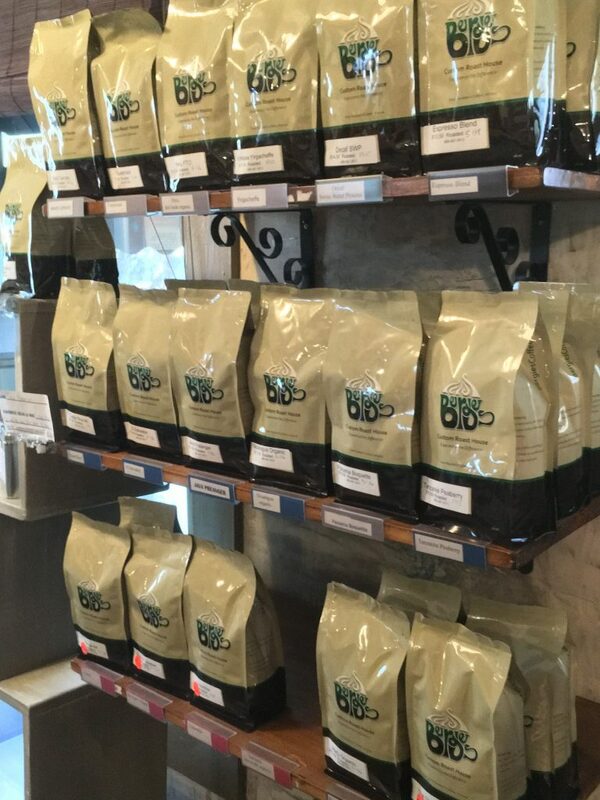 If you are not a coffee drinker, Bergies has several non-coffee drinks available as well, making their shop a home away from home. See you there!